This is Two Blondes Walking’s fifth Christmas. We thought we would remind you that there is life beyond turkey, sprouts and mounds of roast potatoes by taking a look at some of our previous Christmas escapades. There was the time that B2 discovered that well-known expedition food, rehydrated Christmas pudding. There were a few occasions when the ‘Christmas tissue’ attained symbolic status. 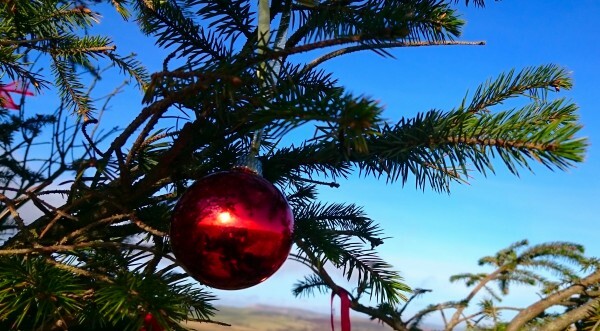 And of course, there have been many, many visits to the Dartmoor Christmas Tree.